CTeen Sudbury is the place to go for fun, engaging and cool Jewish programs and social events for local High School Teens. CTeen Sudbury is part of an international fast growing teen network with over 300 chapters all around the world. 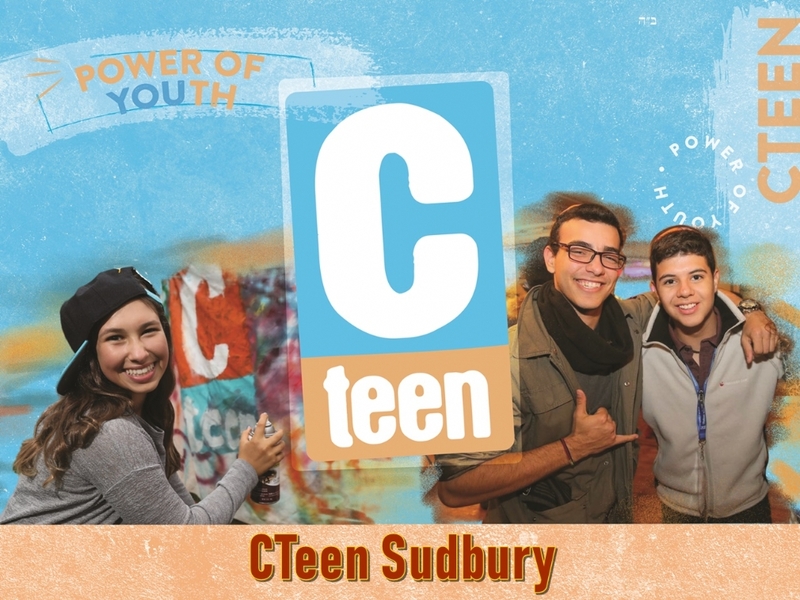 The Sudbury Cteen Chapter meets once or twice a month for social action volunteering, cool activities, interactive teen programs, Jewish events, trips, Friday Night Shabbat Dinners and lots more. One of the highlights is when we travel together to the international CTeen Shabbaton in NYC in late February. Each year we have dedicated CTeen Leaders who are local High School Teens. This year’s CTeen Sudbury Leaders are Chloe Meyer, Daniella Perlov and Sammy Levin. You can browse our upcoming events over here. CTeen is a global family of Jewish teens, dedicated to changing the world through acts of goodness and kindness. Through a fusion of fun, friendship building events, humanitarian outreach, mitzvah observance, and engaging Torah study, teens are empowered to actualize their inner infinite potential, while cultivating a strong sense of Jewish identity, pride, mission, and love of G‑d. Cteen’s mission is to provide a nurturing environment where teens can learn about themselves through giving to others, identify with individuals who share the same faith, and be part of a group that focuses on building core values and stresses positive character development.